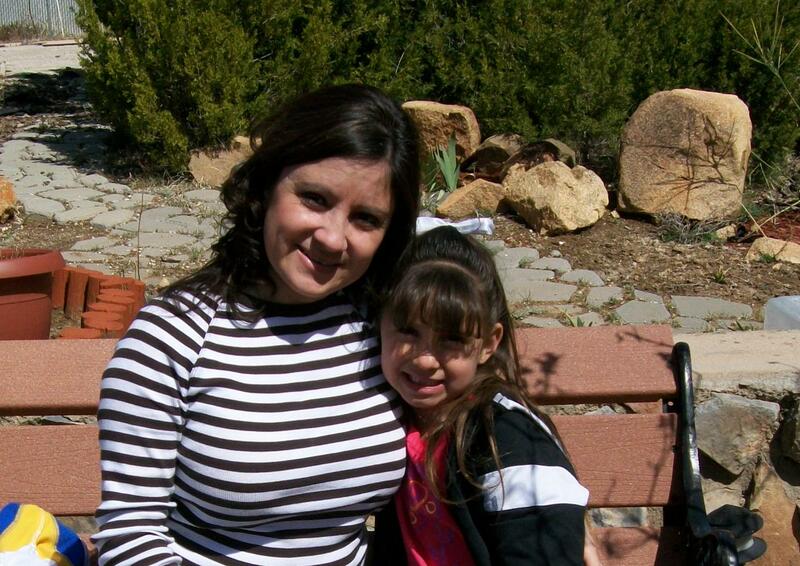 I had an enjoyable time with my family last week in Silver City, New Mexico. We were able to enjoy each day doing different activities and I enjoyed the yummy Southwest New Mexican food - there is none other. Luckily, since returning to Kansas, we have had some beautiful days. My students began their State math test today that continues through Thursday. All I have wished for them is to do their best and they seemed to put forth good effort today. We have a short week this week because of Good Friday so the 3-day weekend is not too far away! My Sister coaches the cheerleading squad at my alma mater and where I used to coach years ago. Last night they had a sleepover at the school, as they begin final preparations for their State competition routines. She invited me to go so I could give some input into their routines. They are making great progress and have a few more weeks to practice. I wish them all the luck in the world and remember all the hard work and dedication it takes to perform successfully! Alyzae played "hookie" from school on Thursday so she could spend the day with me. We played on the swings (again) and then enjoyed a little bit of baseball! My Dad was the pitcher, Alyzae the batter, and me, the outfielder. She's pretty good at batting and has a nice little "stance". We picked up Alyzae after school on Wednesday and enjoyed the beautiful, outdoor weather. We played on the swings, hoola-hooped, and played around in Grandpa's backyard! It was a fun time! 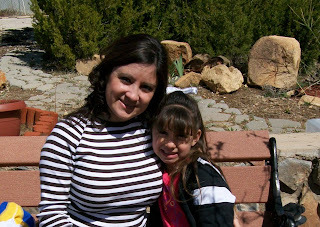 I made a trip back home, to New Mexico, for Spring Break and am enjoying my family. This afternoon I had the opportunity to spend quite a bit of time with my darling niece, Alyzae. She is so full of life (and energy) and kept me entertained. I love this little girl soooo much and my sister says she is me all over again. So glad I could help you, dear Sister! :0) I haunted her being her older sister and now I get to haunt her through my niece. Nothing else I could ask for. 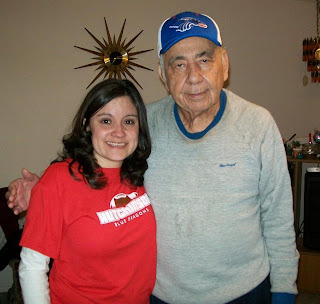 My Grandpa and I. He's a collector of baseball caps and writing pens and was showing off this HCC hat Corey sent to him. My Grandma had to take pose with the hat, too. Alyzae and I were acting silly, pretending to share a popsicle! She and I topped off the night playing hide-and-go-seek and coloring a few pages in her coloring book. She plans on spending the night with me tomorrow and I can't wait! 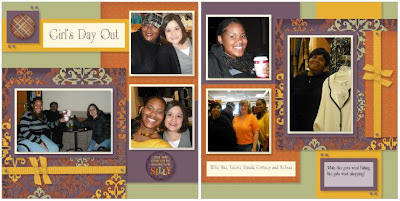 Studio J - our soon-to-come Online Scrapbooking Program! 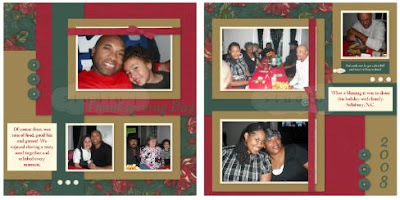 So I truly wondered if I could ever enjoy and find a purpose for using an online scrapbooking program. At Leadership Convention, last year in Long Beach, CA, Close To My Heart announced the development of Studio J and I cannot wait until it is released to the public in April! As a Consultant, I have had the pleasure of testing the program while they work on the technicalities and get it working effectively for its' release. I have already purchased and received two layouts made with the program and absolutely love them! In fact, people that I show them to have actually had to touch the pages to check if the embellishments were real! They weren't, but you can do a "hybrid" layout where it's printed and then you can physically add on the embellishments - and it looks great! 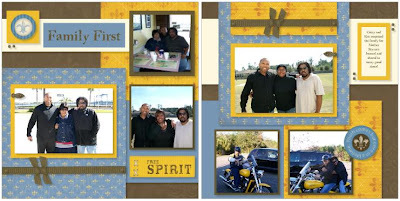 These layouts highlight some fun memories we have shared with my husband's family over the last two years. I enjoyed being able to experiment with the different paper packs and various embellishments without having to make a mess in my scrap room! How's that for easy clean-up?! What's even better is this program is FREE to use. You create your layouts with ease and only pay for them when you want them printed. There will be a great incentive to purchasing 10 layouts at a time which is what I am always going to do! I hope you like them! I thought yesterday was the first day of Spring, but I could be confused... We received snow Friday evening and it's been cold and windy ever since. I am definitely ready for Spring and the warmth and sunshine that is supposed to come along with it but I might have to wait a little longer to take some photos to put on this layout. Join me on Thursday, April 15th at 6:30 p.m. as I show you how to make this cute layout, with our Caboodle paper pack and April stamp set, for just $6! Space is limited so contact me to reserve your spot. (Location: My house on Severance St.) Please B.Y.O.B. (Bring Your Own Basics): paper trimmer, scissors, and choice of adhesive. I enjoy making hand-made cards from scratch, but I also love "sprucing" up some of our cute card kits! For just $12.95 you receive 12 card bases and envelopes and some fun "goodies" for hand-decorating the cards to suit your needs and style! I love the vibrant colors included in this card kit, paired with Chocolate, and enjoyed putting these cards together! The cards are smaller in size and perfect as gift-toppers. 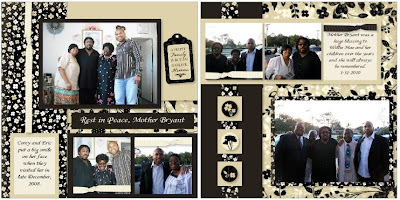 To see details regarding this card kit, click here. So the Gator football and basketball teams didn't go as far as expected this year but we are still diehard Gator fans! 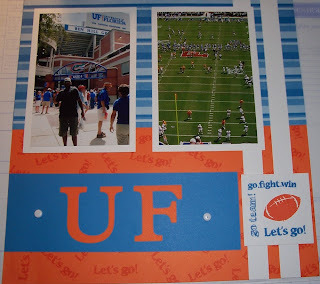 I love this layout I made, commemorating our tailgate and gametime fun when we watched them play the Tennessee Vols (Volunteers) in 2007 at Ben Hill Griffin Stadium in Gainesville, FL. I loved chalking the words that highlighted the good time we had! I love an excuse to travel! As I have mentioned before, Close To My Heart has brought so many blessings to my life...including allowing me travel regularly to familiar places and others I have never visited before. This year we will head to Washington, D.C. for our National Convention and I cannot wait! While I have visited D.C. twice before, I am excited to share in this experience in the company of my best friends. Two years ago we traveled to San Antonio for our Regional Celebration. We had such a great time checking out The Riverwalk and learned great tips and techniques from our corporate training staff. These layouts commemorate those good times! Enjoy! I love organized things and absolutely love Close To My Heart's Acrylic Organizers that also look so pretty. I have several of these - two filled with brads and other fun goodies seen here, another filled with eyelets, another with our cute Ribbon Rounds, and one filled with our acrylic blocks. I love how pretty everything looks and how easy it is to access what I need with ease. They pack up very nicely for me to attend crops and retreats. If you need an organizational method for these kinds of items, I highly recommend them! Most of my friends know cheerleading is one of my other passions (besides scrapbooking, that is). I have cheered as long as I could walk and talk, growing up with my dad as a high school teacher and Basketball Coach. My sister and I were the cheerleading "groupies" growing up, having our own homemade uniforms (made by my Mom) and cheering on the sidelines. I began my "official" cheerleading career in 8th grade, cheered through high school (we were State Champions my Senior year), and then for three years in college. I was even a Cheer Camp Instructor for several summers, traveling throughout New Mexico. I then became an Assistant Coach at my alma mater, Silver High School, my Senior year in college and then became the Head Coach there (where we were also State Champions). Since then I have coached at a couple of schools in Florida, North Carolina, and this year, in Kansas. Last year I took over the Junior Varsity Cheerleaders at WRHS after they experienced a frustrating situation after tryouts. While I went in solely trying to provide a positive cheerleading experience for them, I walked away with many fond memories. 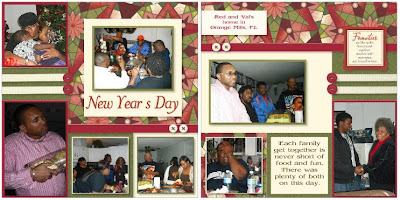 All in all, it was a smooth experience with lots of fun and laughter! I enjoyed being around these girls, meeting at The Grille before home games, and sharing in some good times at fundraising events and our end-of-the-season sleepover. I hope it's not the last time I see these girls and thankfully, I do keep in touch with several of them. 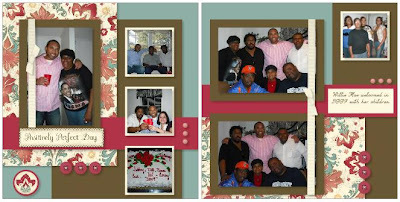 I am proud of my commemoration of our fun times together and hope they had as much fun as I did! 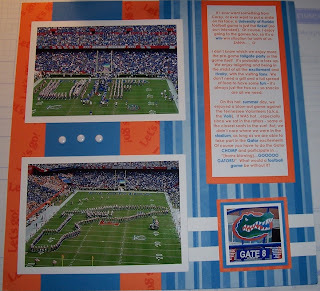 Enjoy the layouts and be sure to check out my stinkin' cute, paper-pieced cheerleader at the bottom of this entry! I used the Paper Dolls Cricut cartridge, borrow from Sharron H. at my team retreat, to create this darling little cheerleader! I was so proud of how she turned out and received many compliments about her. This cute NEW My Creations Journal, one of our newest products, is awesome! I wasn't sure how I would like it but once I received it...I LOVE how you can easily alter the cover, changing it out as often as you like! It allows for so much personalization although I totally copied this design from the Spring Idea Book. LOL (Gotta love a "catalog" that serves as an Idea Book as ours does!) Despite copying, I made two versions - one for me and one for my friend, Kristy - and each is still very much personalized. 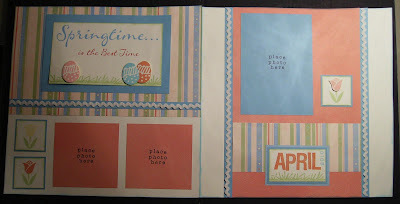 This Journal was made using the Veranda paper pack. I received these ribbons from my Secret Sister, Kristi S., at the retreat and loved how vibrant they were! I think they went great with the Caboodle Paper Pack and finished off my journal with a nice touch! My friend, Chris G., created these cute cards for a workshop I will hold in early April using the March Stamp of the Month and the Topstitch paper pack. This was one of the projects shared at the retreat last weekend. They were a BIG HIT and I hope you will join me! Contact me for details or you can do a long-distance workshop in the comfort of your own home! This is the cute little handmade box they go in (with a cute little handmade bow). It's a GREAT time to join Close To My Heart!